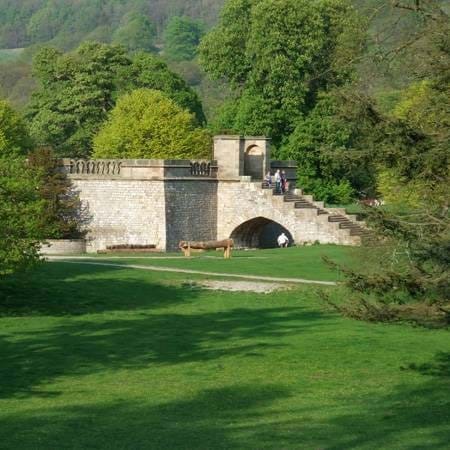 The Chatsworth Park covers 1,000 acres and is enclosed by a dry stone wall that is 15 kilometres long and a deer fence. The park is home to red and fallow deer, sheep, cattle and many wild animals. It is a farmed, food-producing landscape. The grass you walk on is a crop grazed by sheep, cattle and deer; the river provides fish and the woods game and timber. Without the work of the Chatsworth team, it would soon be changed beyond recognition by nature and the wear and tear caused by the footfall of a million visitors each year. Members of the park team maintain the trees, walls, railings, fences, watercourses, roads, tracks, gates, cattle grids, tree guards, and an intricate system of underground drains. The team also collects litter, which is dangerous to the animals that live in the park. The 200-acre Old Park is a Site of Special Scientific Interest (SSSI) and is kept private to protect wildlife. The park holds a key position in the history of English landscape design, in part because its landscape has been influenced by some of the greatest artists and designers of their time, including George London, William Kent, Lancelot Brown, Sir Jeffry Wyatville and Sir Joseph Paxton. Each of these remarkable individuals – encouraged and directed by successive Dukes of Devonshire – have left their mark on the landscape through their architecture, waterworks, tree planting, and the creation of views which link the house, garden and park together. Chatsworth House sits on a raised terrace on the eastern side of the park, overlooking the River Derwent and backed by a steeply rising, well-wooded ridge to the east. To the south and east, gardens form the immediate setting of the house, which gives way to the parkland along the Derwent Valley. 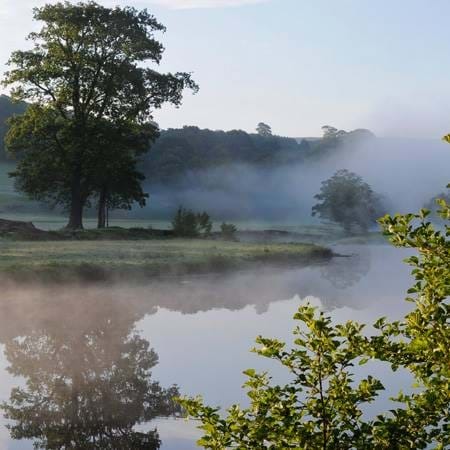 The Chatsworth Estate is able to offer four miles of double bank fly fishing on the Chatsworth Fishery running from Baslow through Chatsworth Park to Rowsley on the River Derwent. You are welcome to walk, picnic and play in the park and Stand Wood for free (parking charges do apply). We do, however, ask you to follow the guidelines below and to be aware that access may sometimes be limited. 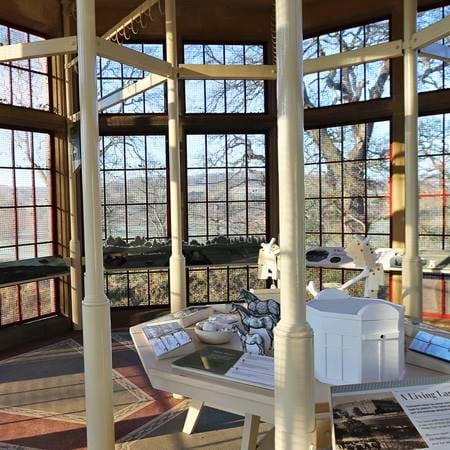 The Game Larder is our new landscape interpretation centre, which opened in December 2016. Originally constructed in 1909 to hang the game shot on the estate, the Game Larder is the octagonal building adjacent to the car park. 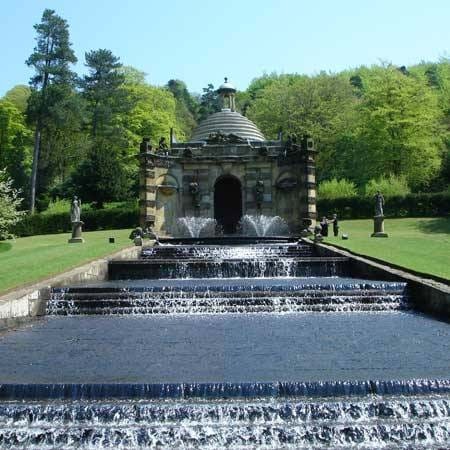 The supply of water at Chatsworth is reliant on gravity and an elaborate system of ponds, watercourses and pipes leading the water to where it is required. The most obvious survival of the 16th century formal gardens that once surrounded the house is Queen Mary’s Bower. 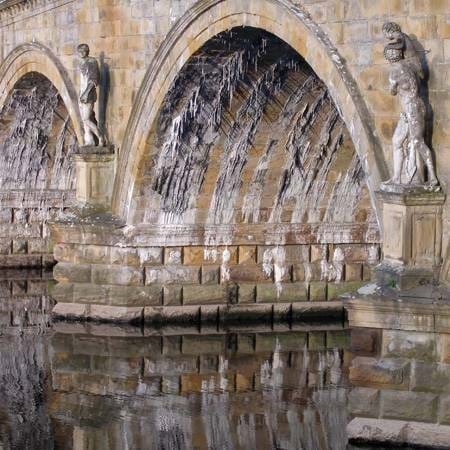 James Paine, a successful architect of the mid and later decades of the 18th century, created a number of features in the park at Chatsworth. 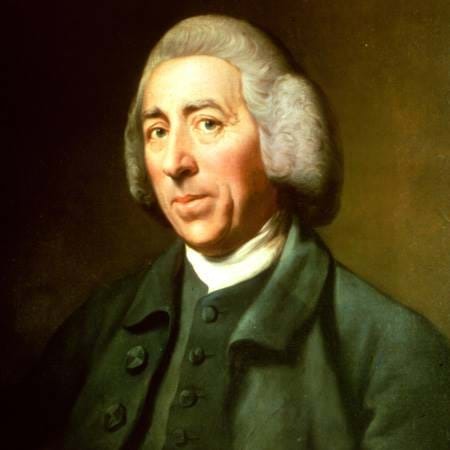 Between c.1760 and c.1764 Lancelot Brown (1716-1783) and his foreman Michael Millican oversaw an extensive programme of earth moving, drainage, levelling and tree planting in the park.